Most of us started noticing popular music around the time we turned ten even though we thought of the songs from our early years as pretty square by the time we graduated. But some of those old, square songs can still stir the heart chords, so here's the music we grew up and graduated with sorted by year. 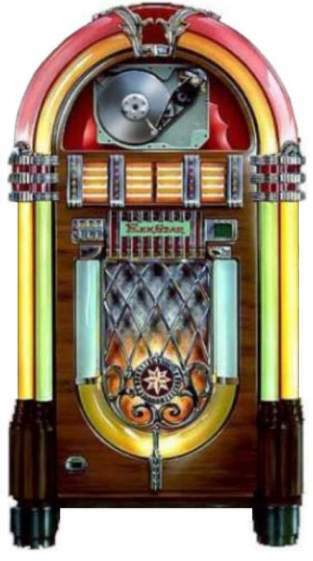 Just click the year of your choice on the jukebox and the it will display the top ten pop hits for that year. Enjoy.